Recently, I started playing a new game by Ameba and Pottap called Coordemania (コーデマニア) for ipod touch, ipad, and iphone. Although itunes says it’s in English, it’s only in Japanese. I’ll be posting the basics about how to play it. The goal of the game is basically dress up! You make new sets of outfits (or coordinates) and post them up. The more comments you get from coordinators, the more money you get. When you start off, you’re limited to the clothes you can buy. In addition to earning money from comments, you can earn money as you level up. 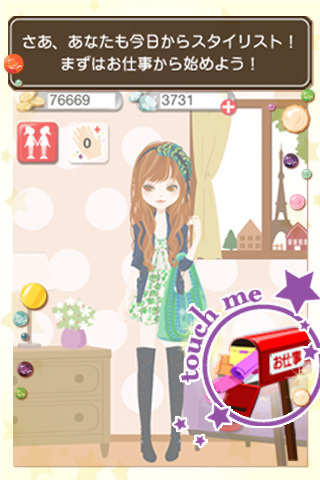 The outfits are generated by the computer and you have to match the best piece of clothing to finish the coordinate. See below for a tutorial on the game!